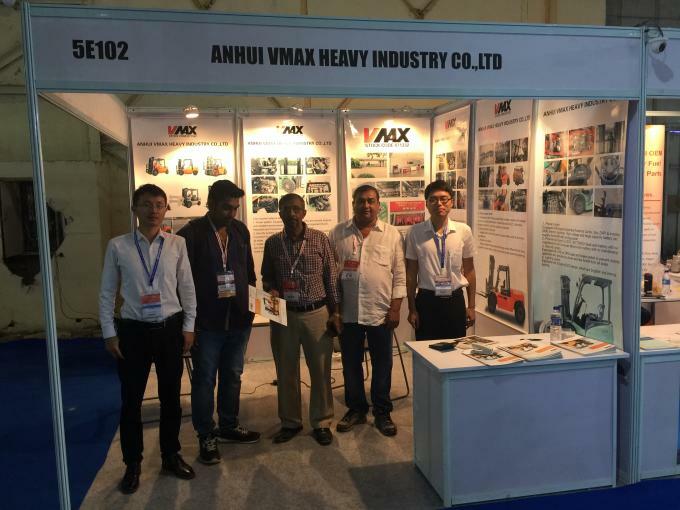 Anhui Vmax Heavy Industry Co., Ltd is located in Lu'an, Anhui,China. 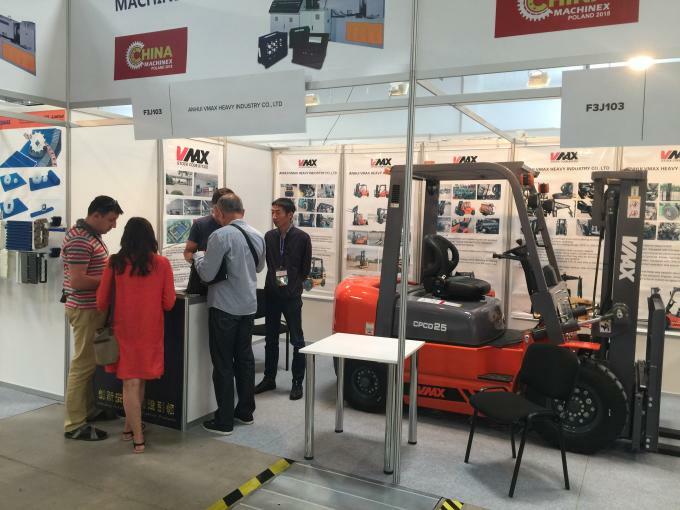 It is one of the biggest forklift manufacturers in China, which has 67,000 square meter area workshop and outputs 5,000 sets of forklifts annually. 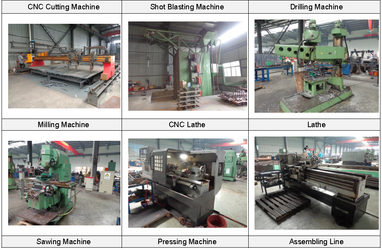 We have different kinds of large blazing cutter, plasma cutter, large punch machine, CNC machining center, large painting machine and other highclass machines and testing equipment, which ensure perfect quality of each forklift from VMAX. Now our products include counterbalance diesel forklift,battery forklift, gas/lpg forklift, pallet truck, stacker, reach truck, mast mobile container crane, etc. 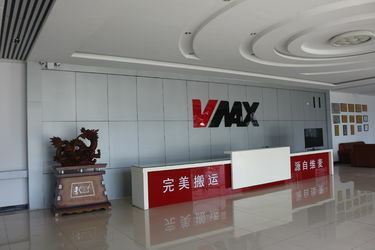 With first class technology and stable quality, VMAX products won the appreciation form majority of overseas customers. Our products have been exported to Europe, America, the Middle East, Southeast Asia, Africa and many other countries and regions. More than 400 VMAX members offer you products with topclass service. 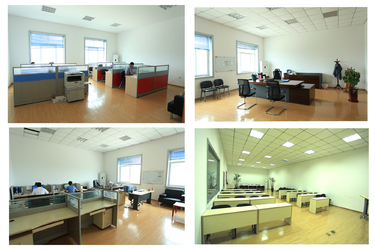 December 20, 2010 Anhui Vmax Machinery Co.,Ltd. established. 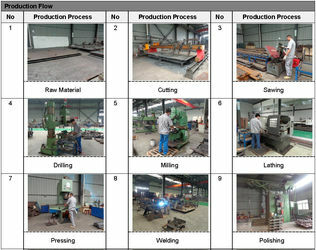 May 2013 Obtained the special equipment license issued by the AQSIQ. 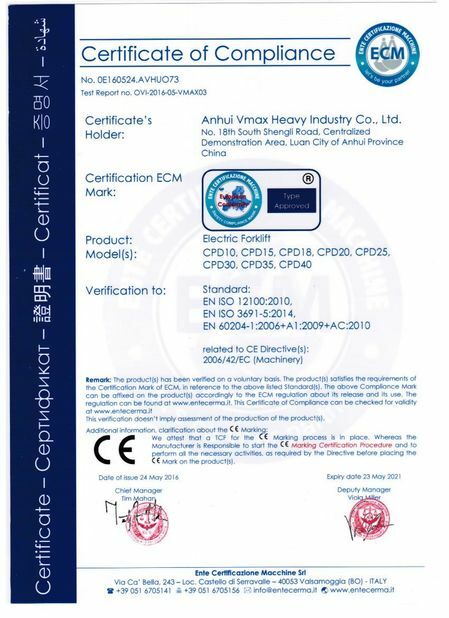 July 2013 Obtained EU CE safety certification for internal combustion forklift, electric forklift and LPG forklift. July 2014 Obtained 22 patent certificates cumulatively. July 2014 Awarded the high-tech enterprise certificate. February 2015 Acquired three-level enterprise certification for safety production standardization. December 2015 Launched the new three board listing work. 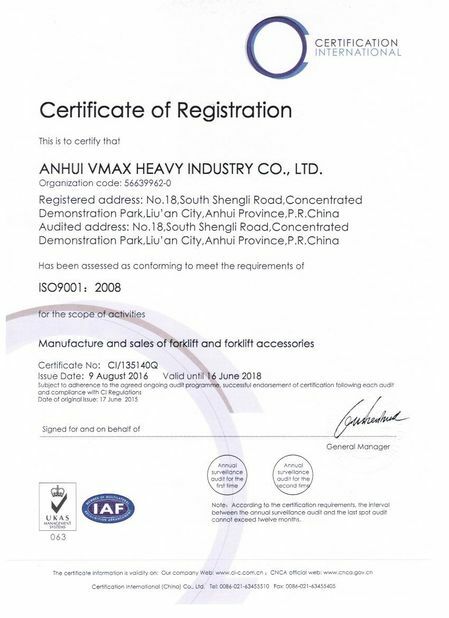 February 2016 Obtained the title of "Lu'an Famous Brand Trademark"
March 2016 The non-tradable shares for Anhui Vmax Industry Co.,Ltd. reformed successfully. March 2016 Finished the reform of non-tradable shares,and renamed as Anhui Vmax Industry Co.,Ltd. 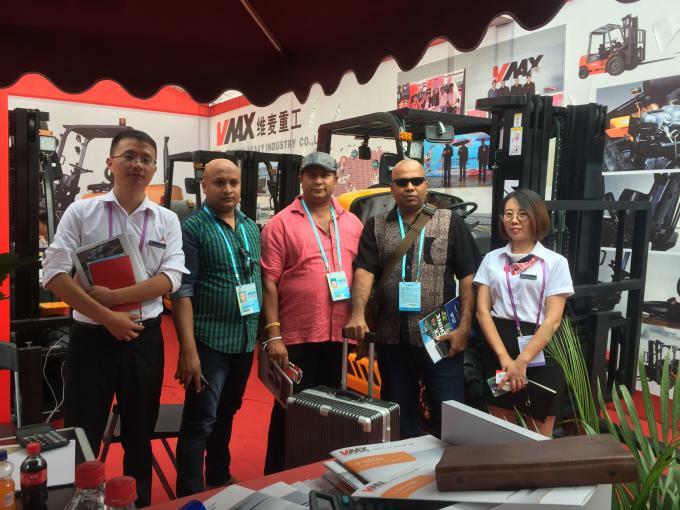 April 2016 Wmax forklift becomes the designated service vehicle for 119th Canton Fair. 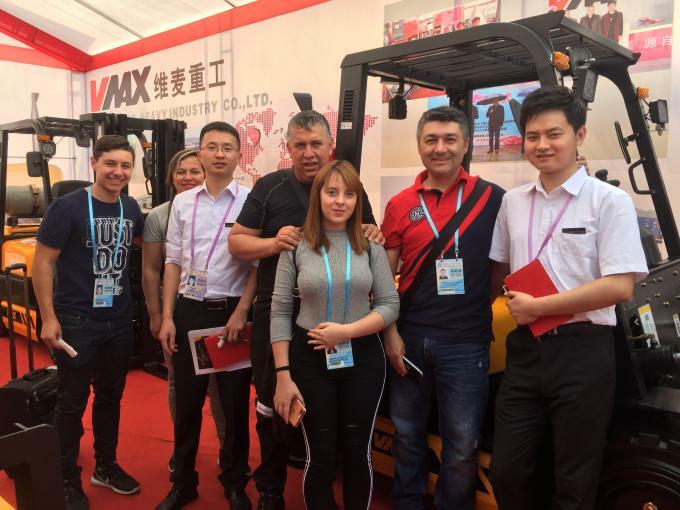 April 2016 Wmax forklift becomes the designated service vehicle for Sochi F1. April 2016 Vmax new forklift rolled off the production line. August 2016 Passed ISO9001:2008 Certification. September 2016 Added 8 new patent certificates. May 2016 Awarded the training base for motor vehicle (forklift) teaching and training. December 2016 Obtained the title of“Anhui Famous Brand”. How to order genuine spare parts of forklifts? 3. A formal contract must be signed bases on the agreement both parts have reached. 1. How long is the warranty period of forklift? 2. Why should we buy the genuine spare parts? 3. How to calculate the warranty period? 4. What should we do when problems of spare parts arise? 5. Generally what kinds of spare parts should be bought when buying forklift? 6. How to extend service life of the forklift?